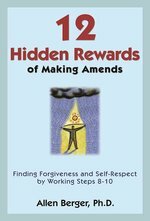 Popular recovery author Allen Berger, PhD, guides us in working three of the most challenging of the Twelve Steps to reap the abundant rewards of making amends. Letting go of resentment and forgiving ourselves for our past wrongs are critical to recovery from alcohol and other drugs. Yet, Steps Eight, Nine, and Ten, which focus on making amends, can be some of the most challenging to work, because we must face ourselves and those who we have hurt or damaged.Letting go of resentment and forgiving ourselves for our past wrongs are critical to recovery from alcohol and other drugs. Yet, Steps Eight, Nine, and Ten, which focus on making amends, can be some of the most challenging to work, because we must face ourselves and those who we have hurt or damaged.In 12 Hidden Rewards of Making Amends, Allen Berger, PhD, uses the same supportive, down-to-earth style as in his popular book 12 Stupid Things That Mess Up Recovery. His creative tools and tips will help us let go of anger, heal strained relationships, and make financial and emotional restitution. Through this transformative process we can: recover and maintain integrityresolve or complete unfinished businessrestore trust, self-esteem, and self-confidencedeepen our spirituality and peace of mindreinforce a strong commitment to recoveryBy being accountable for our words and actions and moving forward with a compassionate and constructive approach to the world, we decrease our chance of relapse and learn to maintain a healthy, balanced life. This book gives you the tools you need to work through twelve pitfalls that you are likely to encounter on your path to long-term recovery. Whether you are facing relapse, learning to overcoming complacency, or take responsibility for your feelings and actions, this book will equip you to overcome some of the most common relapse hazards. Recovery from addiction is often compared to a journey where you meet new people, rejuvenate your mind, body, and spirit, and learn new things about yourself that give you hope for the future. 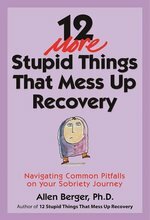 But like all journeys, there are also pitfalls that can jeopardize your sobriety.With his popular book, 12 Stupid Things That Mess Up Recovery, Allen Berger has shown many people how to confront self-defeating thoughts and behaviors that can sabotage their sobriety. In this sequel, Allen gives you the tools you need to work through twelve pitfalls that you are likely to encounter on your path to long-term recovery. Whether you are facing relapse, learning to overcome complacency, or taking responsibility for your feelings and actions, this book will equip you to overcome some of the most common relapse hazards as you make your trek along "the Road of Happy Destiny." 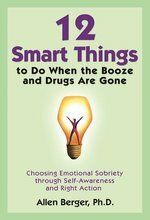 The author of the classic 12 Stupid Things That Mess Up Recovery offers a fresh list of "smart" things to do to attain and sustain emotional sobriety. 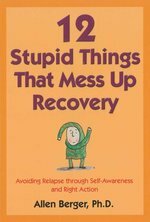 The author of the recovery mainstay12 Stupid Things That Mess Up Recovery offers a fresh list of "smart" things to do to attain and sustain emotional sobriety. Whether it's called "dry drunk" or "white knuckle sobriety," it's that stage in recovery when we realize that "putting the plug in the jug" isn't enough. The next step is taking responsibility for the emotional immaturity that fuels our addictive personality and has a tremendous impact on ourselves and others. Allen Berger, PhD, draws on the teachings of Bill W. and psychotherapy pioneers to offer twelve hallmarks of emotional sobriety that, when practiced, give people the confidence to be accountable for their behavior, ask for what they want and need, and grow and develop a deeper trust in the process of life. These smart things include: understanding who you are and what's important to youlearning not to take others' reactions personallytrusting your inner compasstaking responsibility for your reactions to problematic situationsIt is in these practices that we find release from what Bill W. described as an "absolute dependency" on people or circumstances, and develop the tools to find prestige, security, and belonging within. A second edition (with 44 new prayers) of the best-selling book of prayers and inspirations for those seeking just the right words for conversing with their Higher Power or for expressing their innermost thoughts and feelings. Wherever you are on your recovery journey, and however you define your Higher Power, you will find spiritual support in this special collection of prayers and inspirational readings.This second edition of The 12 Step Prayer Book features 183 passages gleaned from Twelve Step meetings and adapted from common prayers and devotions. It includes:44 new prayers and readingsA guide for daily readingtraditional and best-loved recovery prayers, andStep and meeting prayers.This book is an excellent accompaniment to Easy Does It: A Book of Daily Twelve Step Meditations. Readers will find a prayer to inspire each new day in recovery with this second volume of the popular book of devotions. Concise advice on hunting down the personal culprits that sabotage sobriety and personal happiness. To grow in recovery, we must grow up emotionally. This means getting honest with ourselves and facing up to the self-defeating thoughts and actions that put our sobriety at risk. Although there are as many ways to mess up recovery as there are alcoholics and addicts, some general themes exist, which includeconfusing self-concern with selfishnessnot making amendsusing the program to try to become perfectnot getting help for relationship troublesbelieving that life should be easyIn simple, down-to-earth language, Allen Berger explores the twelve most commonly confronted beliefs and attitudes that can sabotage recovery. He then provides tools for working through these problems in daily life. This useful guide offers fresh perspectives on how the process of change begins with basic self-awareness and a commitment to working a daily program. During the last two decades, American law has undergone some startling developments that will affect all church leaders and religious organizations, regardless of denomination. Reacting to events allegedly occurring in the church counseling office or board room, the American public is suing its religious leaders and organizations at an unprecedented rate. 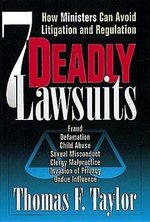 7 Deadly Lawsuits is about preventing lawsuits against clergy, religious professionals, churches, and religious organizations. The book, however, is not about "how to fight back." Thomas Taylor leaves this to the lawyers, once the alleged damage is done. Instead, this book is about how clergy, religious professionals, and religious organizations can be educated about the kinds of lawsuits that are typically levied against them. Taylor then shows how to avoid such costly legal involvement. The final chapter discusses "responding to lawsuits." There are seven distinct ways of teaching and learning: verbal/linguistic, logical/mathematical, visual/spatial, body/kinesthetic, musical/rhythmic, interpersonal, and intrapersonal. 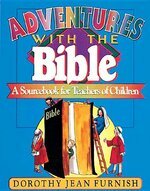 In 7 Ways of Teaching the Bible to Children, Barbara Bruce uses these seven learning styles to show you how to meet the various learning needs of each child in your classroom. The 25 Old and New Testament lessons which are included feature warm-up exercises, scripture readings, activities, and options for tailoring the lesson to all your students' individual learning needs. Practical advice for discovering each child's learning preferences, reproducible patterns and handouts, and a teacher training session are also included. The Bible story lessons can be used independently or with existing class curriculum. Nationally recognized grief educator Harold Ivan Smith brings over twenty-five years of professional experience in grief recovery to ABCs of Healthy Grieving. Seventy-two brief suggestions for healthy grieving, each two-pages in length and titled starting with a letter of the alphabet followed by an "I Can" statement, encourage those suffering the loss of a loved one to grow through grief spiritually and emotionally. One particular aspect of living with grief day-to-day is introduced with relevant quotes and short excerpts. 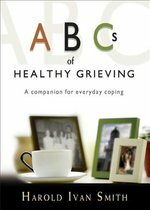 Readers can read ABCs of Healthy Grieving cover to cover, or choose a single topic to help them through their day. Young readers (age 5-9), parents, grandparents, teachers, and catechists will enjoy learning about the major events in Thomas Merton's life and the choices he made along the way to become the world's most famous monk and hermit. 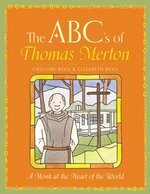 The playful ABCs format used in this book will help children to remember what they are learning about Thomas Merton and the Christian life in general. With childlike simplicity, the book creates an open and contemplative mood for the child and grown-up sharing in the reading experience. ""My passion is embodied learning. Through twenty-five years of teaching, I've learned that students engage with material best when their bodies are active participants in the learning process. I have found this to be particularly true in teaching religious studies and theology."" --from the Introduction People are torn by conflict, fractured by cultural, religious, racial, and economic divides. Religion has often been a prime motivator for this violence. Classrooms must be places in which we learn to hold differences and commonalities. Classrooms are opportunities to rehearse, to practice, how we want to live with one another. Religions, says Rue, are more than ideas: they are lived, enacted by human beings in particular ways. And courses in religion need more than a cognitive understanding of central concepts. Rue asserts that students need to viscerally encounter belief, religious practice, religious imagination, and religious experience. Acting Religious, a practical handbook, maps a new approach that uses theatre to teach religion. For many years, Rue has used theatre techniques and plays to introduce students to what she calls the ""experience"" of religion, showing how theatre makes theological ideas palatable, visceral, and available. Acting Religious is at once a call to experience meaning and a theatre method to embody it. Experienced and beginning teachers at both college and high school levels, as well as religious educators, will learn how to use the following techniques in the religion or theology classroom: improvisation, characterization, memorization, script writing, performance. From these methods, students will be able to engage religious traditions experientially as well as cognitively. Victoria Rue teaches women's studies at San Jose State University. She can be reached at www.victoriarue.com. 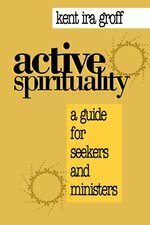 A practical guidebook for the inquiring layperson seeking a holistic, intelligent look at the spiritual life, and for the pastor or religious professional seeking a systematic framework and spiritual practices to re-ignite the flame of faith. 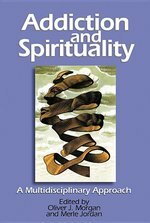 Groff explains what it means to believe and what to do after you say you believe-through a unique integration of spirituality and service, heart and mind, and various faith traditions. Explore five spiritual disciplines: community, solitude, learning, service, and vocation. Great for study groups. This classic resource for community organization is aimed primarily at clergy who have accepted the need for active involvement in the social problems of the world in order to fulfill the basic religious mission, but don't know how to do it successfully. In this roadmap to community organization and activism, Pierce points out the major traps and stumbling blocks for congregations to avoid along the way. He encourages an ecumenical approach to community organization and offers concrete stories and experiences as examples to follow. Helps families who have a loved one suffering from an addiction learn important lessons on loving, detachment, intervention, and self-care. 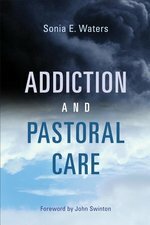 Substance addictions present a unique set of challenges for pastoral care. In this book Sonia Waters weaves together personal stories, research, and theological reflection to offer helpful tools for ministers, counselors, chaplains, and anyone else called to care pastorally for those struggling with addiction. Waters uses the story of the Gerasene demoniac in Mark's Gospel to reframe addiction as a "soul-sickness" that arises from a legion of individual and social vulnerabilities. She includes pastoral reflections on oppression, the War on Drugs, trauma, guilt, discipleship, and identity. The final chapters focus on practical-care skills that address the challenges of recovery, especially ambivalence and resistance to change. Religious and secular counselors from a variety of disciplines share their basic approaches in working with addicted persons and their understandings of the spiritual dimension in treatment and recovery. A guide for therapists, designed to help them understand the multiplicity of cultural influences that work to form each of us. Pamela A. Hays offers the ADDRESSING framework for helping readers understand identity as a multidimensional combination of Age, Developmental and acquired Disabilities, Religion, Ethnicity, Socioeconomic status, Sexual orientation, Indigenous heritage, Native origin, and Gender. 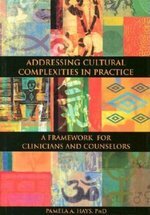 The book should be useful to counsellors, clinicians, and any professional working with clients from a variety of diverse backgrounds. 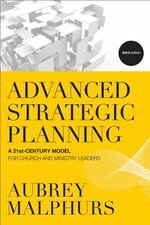 The methods in this book are proven to work, having already helped many churches articulate their vision and implement their mission. Using music, movement, games and art, Dorothy Furnish helps new and veteran teachers deepen their own relationship with the Bible. Furnish provides a teacher-training resource that features individual or group study options, flexible training schedules, tips for leading a successful training event, a guide for choosing age-appropriate Bible material, and instructions for tailoring stories to children ages 4-12. Adventures with the Bible offers five unique training sessions: Explore the Territory: the Bible; Travelers on a Journey: the Children; Choosing the Road: Teaching Methods; Marking the Way: Guideposts; and Packing for the Trip: Preparation. Aging is a fact of life, and issues surrounding it are hot. There are currently 35 million Americans over the age of sixty-five - more than ever. This demographic shift is noteworthy not only because the ranks of the elderly will continue to swell in coming years but also because it is taking place in what the editors of this book call an "ageist society," one that increasingly loathes every facet of aging. Indeed, the ethical issues associated with aging are among the thorniest in medicine and public policy today. 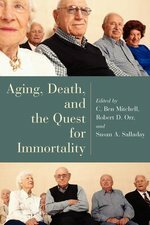 Aging, Death, and the Quest for Immortality is a timely volume by physicians, health-care professionals, pastors, and ethicists who explore the experiences, dilemmas, and possibilities associated with aging. 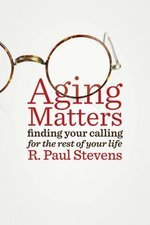 The book opens by offering three distinct perspectives on aging; this section includes practical suggestions for dealing with retirement, disability, healing, and death. Several contributors then analyze controversial ethical issues raised by aging and health care, including medical decision-making, the moral standing of patients with dementia, health-care rationing, and assisted suicide. A third group of essays applies a theology of care to ministry to and through older adults, the counseling of seniors, and the application of palliative care. The book closes by discussing some of the emerging technologies and interest groups aimed at achieving immortality, also asking, appropriately, what insights the Christian faith brings to the discussion. Reflecting much wisdom and sensitivity, this book will give welcome help to care providers and to those who are themselves in the later stages of life.